Cinelease, Inc. is the largest independent rental company in the U.S, priding itself on providing excellent customer service and top quality lighting and grip equipment, servicing thousands of feature films, television productions, commercials, music videos and pilots since its inception in 1977. The recognized leader in the entertainment industry for Lighting and Grip services, Cinelease’s success over the past 37 years is due in large part to our reputation of honesty and integrity. 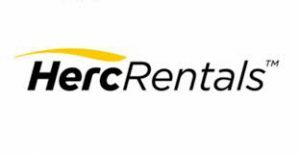 Herc Rentals Inc. is a premier, full-service equipment rental firm ― providing our customers the equipment, services and solutions they need to achieve optimal performance safely, efficiently and effectively. A pioneer of the equipment rental industry, Herc Rentals continues to evolve and grow through technological innovations, expanded product offerings and value-added services and consultative solutions to support its customers’ projects. 31st Street Studios productions can now enjoy the benefits of the only full-service studio concierge in Pittsburgh. Lilly Mac Travel maintains a network of hotels and vendors all over Pennsylvania to provide the lowest possible rates for your production, offering 24/7 customer service—all at no cost to you. Lilly Mac Travel is owned and operated by a former production coordinator who understands the challenges and needs of the film and television industry. The Videohouse, Pittsburgh’s premier full-service media production company, offers an extensive array of services. Their shooters, gaffers, editors, animators, and more have worked on every type of production imaginable. They are also the only local IATSE union signatory for behind-the-scenes and electronic press kits for movies and TV series shot in the Pittsburgh region. These productions have also relied on The Videohouse for their data wrangling and media offloading services. When it comes to renting gear The Videohouse is prepared to equip your vision. 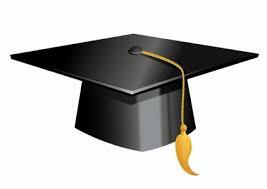 Their tailored customer service will ensure that you have the cutting-edge tools needed to be successful. 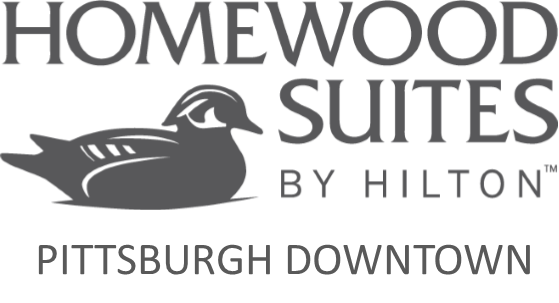 Located in the thriving Strip District neighborhood of Downtown Pittsburgh, The Homewood Suites Pittsburgh Downtown is convenient whether you are here to work or relax. We are an all-suite style hotel that offers full kitchens in every suite. We also offer complimentary breakfast everyday of your stay, complimentary Evening Social Monday-Thursday, Complimentary Wi-Fi, Lodge Bar open every day of the week and much more! Enjoy all the comforts just like you were at home with us as your home away from home! Located in the heart of the city’s bustling Golden Triangle, Kimpton’s Hotel Monaco Pittsburgh boasts sincerely personal service, a bold, playfully unafraid design, and award-winning dining. Across 248 guestrooms, 11,300 sq ft. of meeting space and a rooftop function suite and patio with views of the city skyline, Monaco Pittsburgh serves as a captivating destination for both leisure and business travelers. Hotel Monaco’s well-loved perks include complimentary coffee and tea each morning, as well as a complimentary hosted wine hour nightly from 5pm to 6pm. For over 30 years, St. Moritz has been the leader in the specialized security industry. We provide the most experienced Entertainment Protection available today. The “connected services“ philosophy allows your organization to focus on your business, while we insure the safety of everyone involved. The Pittsburgh Film Office markets the greater southwestern Pennsylvania region as a great location for movie, television and commercial productions. Since its inception in 1990, the PFO has assisted more than 124 feature films and television productions to southwestern Pennsylvania to generate an economic impact of more than $800 million for the region. To facilitate filming in the Pittsburgh area, the PFO provides information on the region, locations, vendors and crew; and coordinates government and business offices in support of a production. It also serves as a conduit for information, providing assistance to local filmmakers and the local film industry throughout the region. I.A.T.S.E. Local 489, Motion Picture Studio Production Technicians, we are the folks that work behind the camera in the Motion Picture Industry in Pittsburgh. We represent the crew in the following departments: Animal Wranglers, Craft Service, Diving, First Aid, Greens, Grip, Lighting, Marine, Props, Scenic Paint, Set Construction, Set Decoration, Sound, Special Effects, Video and Wardrobe. We are committed to the promotion and sustained growth of the region’s motion picture production industry. We are proud to present a large membership devoted to the development and implementation of professional training programs from entry level, through intermediate and advanced level training. Exchange Communications is the leading provider of telecom and IT services to the film and television production industry. We serve our clients’ needs whatever they may be, earn their trust and treat them as family. That vision has propelled the company into a trusted partner, working with the largest and most complex productions ever made. Since 1997 Exchange has installed phone systems in every conceivable location and situation. Teamsters Local Union 249 is a labor union that represents members working in various industries including, freight, UPS, school bus drivers, etc.